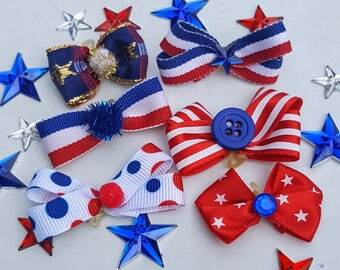 10 single top knot style bows perfect for those pups under 5 lbs. or puppies. 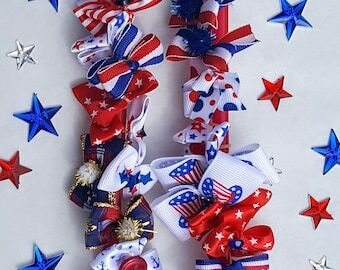 Each bow is made from satin or gross grain ribbon and adorned with a tiny pompom, rhinestone, or button. 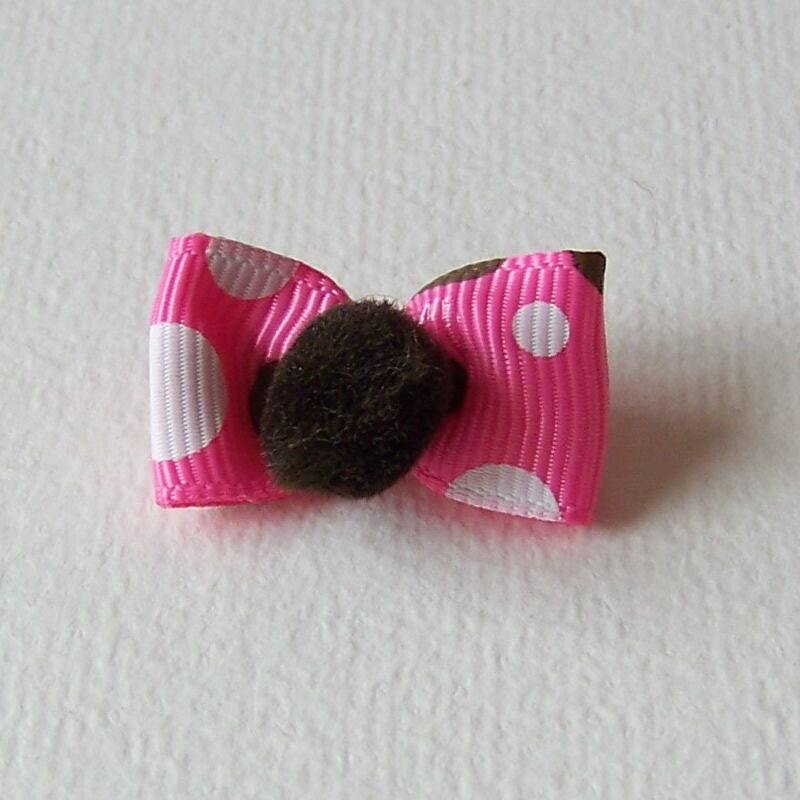 Attach to hair with elastic band. 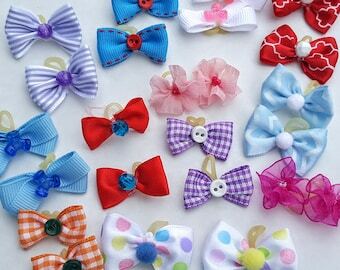 Assortment includes bows similar to pictured. Let me choose for you. Please note if these are for a boy dog. No 2 bows the same. Super fast shipping! Loved the variety!